Acronym TV, which had been on hiatus, is officially shutting down production. I have been offered, and have proudly accepted, the job of Communications Director for Jill Stein for President. First I need to say thank you- it has been an amazing ride and none of it would have been possible without the amazing crowd-sourcing of support you have showered upon me. It is not many people who are lucky enough to find a supportive audience for their work – and for these past many years, I have been blown away by the support you have shown me. In addition to all those who donated and shared the work on social media, I need to extend a very special thank you to Margaret Flowers and Kevin Zeese. As prime movers behind Popular Resistance, Margaret and Kevin were able to extend partial underwriting to Acronym TV for all of 2013 and much of 2014. It was Margaret and Kevin who trusted me to serve as one of the core organizers in the pre-Occupy movement lead up to the occupation of Freedom Plaza. Their trust in me- a guy with a camera that they did not know from Adam- & just wanted to make some videos for the movement –opened the door for many opportunities and experiences that are among some of my proudest moments as a human being. As I shut the door on Acronym TV- I can say I’m proud of where I was able to take the project and humbled that you helped me do it. Acronym TV and it’s previous iterations have generated well over 35 million views on YouTube, held down a regular 30-minute slot on Cable TV (Thank you Free Speech TV) and produced two documentaries – American Autumn and Legalize Democracy – to wide acclaim. Pretty cool, considering it all started with a viral video a few years ago as the part ranting/ part performance art stylings of the The Hermit with Davis Fleetwood (anyone remember that?) – made in my basement with a $200 camera, a few $15 clip lights, and a nom de plume. More recently, as production values increased, expenses far outpaced income. I lost more money than I care to count in trying to keep Acronym TV producing content out of a full service TV studio last year. I paid myself, and the expenses of producing Acronym TV, through a generous loan extended by a longtime supporter – and through donations from people like you. In spite of the debt, I have no regrets- only gratitude. 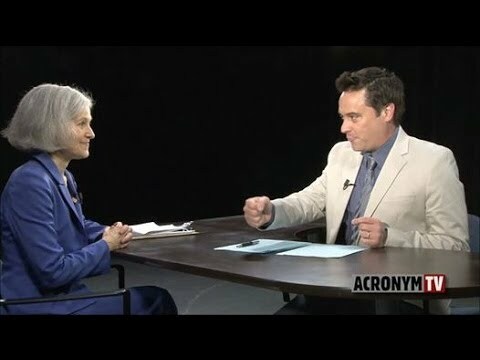 After spending the first few months of this year working on freelance projects and trying to strike a deal that would allow me to continue producing Acronym TV at the same high standards we set in 2014 – an unexpected thing happened: I was offered, and have proudly accepted, the job of Communications Director for Jill Stein for President. In closing down this chapter of my career, I enter into a wild new adventure that presents the opportunity to do meaningful work around ideas that I am passionate about. Jill won me over with her commitment to make the campaign about bringing the struggles of front-line communities into the front lines of Presidential debate. It will be my job to help craft and deliver that message, and I hope to have your support while doing so. Amazing interview with Illinois Green Party candidate for US Senate LeAlan Jones on Fox News Chicago. WICD ABC 15 has this televised coverage of the Illinois Green Party meeting this weekend. They interview Phil Huckelberry, and they focus a lot on LeAlan Jones, whom they suggest is considering running for the US Senate seat in 2010. I’m not sure, but this appears to be the same LeAlan Jones from Ghetto Life 101 and Our America. If so, here is a 2003 Democracy Now interview with Jones. Godless in Chicago (Rob Sherman) has a write up on the Illinois GP meeting, with photos, highlighting Whitney, Phil Huckelberry and Matt Reichel. The Daily Illini reports on the Illinois Green Party meeting, with focus on the local Campus Greens and Rich Whitney’s platform. In the years following the collapse of the federal levees after Hurricane Katrina, activist Malik Rahim was busy organizing one of the most influential recovery organizations in the Gulf South. The organization he founded and currently leads, Common Ground Collective, was gutting houses and providing medical and legal services to tens of thousands of New Orleans residents. 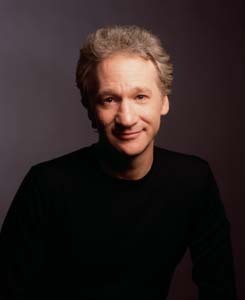 His work was so prolific that it was featured on 60 minutes, ABC News, Democracy Now!, and a host of other shows. “I’m from New Orleans, and I stayed here after the flood to serve my community, at a time when neglect from the federal government was as chilling as it was apparent,” said Rahim. But the media coverage ended once he decided to run for office this fall.